Kaspersky Internet Security for Android When it comes to viruses, Internet attacks, identity theft and criminals trying to steal banking or credit card data your smartphone and tablet are just as vulnerable as your computer. Furthermore, today’s compact mobile devices are easy to lose and easy for thieves to target – so there’s an even greater risk of sensitive information falling into the wrong hands. 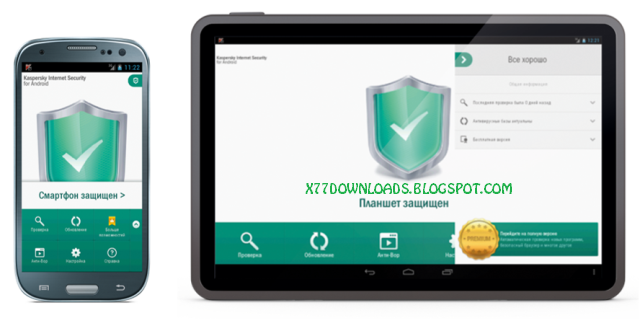 Kaspersky Internet Security for Android delivers Kaspersky Lab’s latest mobile security technologies including superior anti-theft protection and Android antivirus. It’s the easy to use, single solution that’s optimised to protect both Android smartphones and Android tablets from Internet security threats with minimal impact on the performance of your devices.